In our house, Sundays are usually pancake or waffle days, made by Paul. 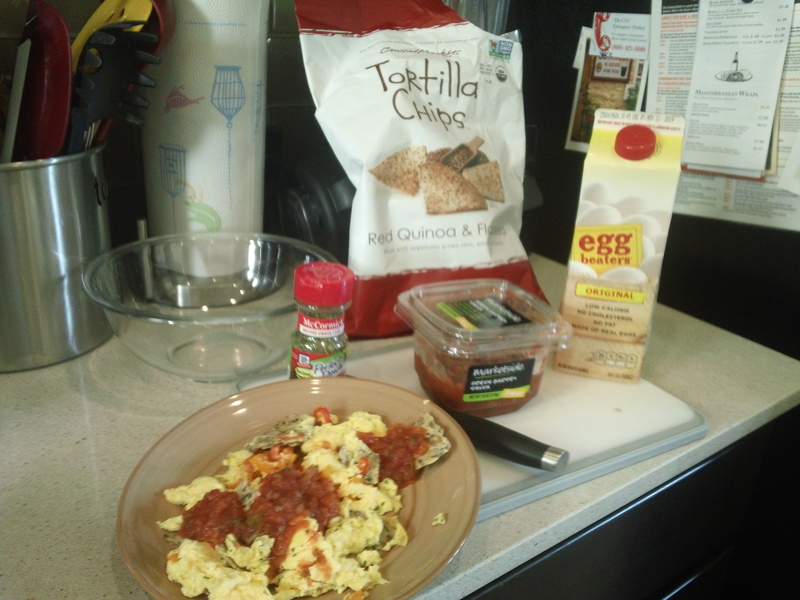 But I was really wanting an excuse to eat more of these chips with salsa, so I added peppers and eggs. Voila! I’ve eaten this two days in a row. It’s that good. 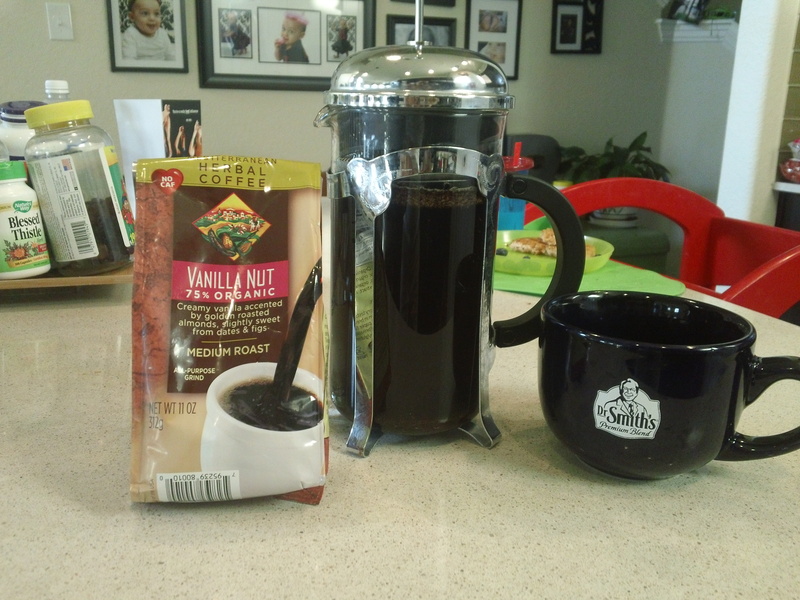 And my friend Leisha got me turned on to herbal coffee. Have you tried this? GET. SOME. It was all I could do to not take it all from Sprouts. Olivia had some and approved. A few of my favorite weekend things now includes THIS! This is followed by laundry and groceries. Eventually, a run will precede all these shenanigans. What’s your weekend morning ritual?